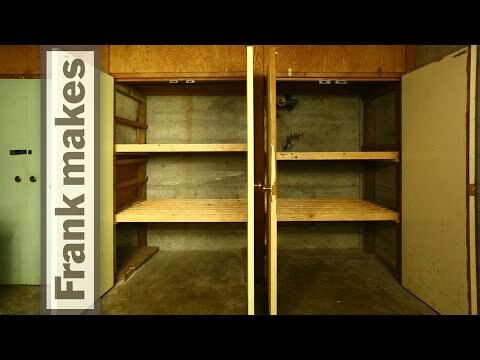 We have 2 closets in our basement that had no shelving. I thought about installing flat pieces of plywood as shelves but the span of 48 inches was too much for that. I cut the plywood into 2 and a half inch strips and turned them on edge. 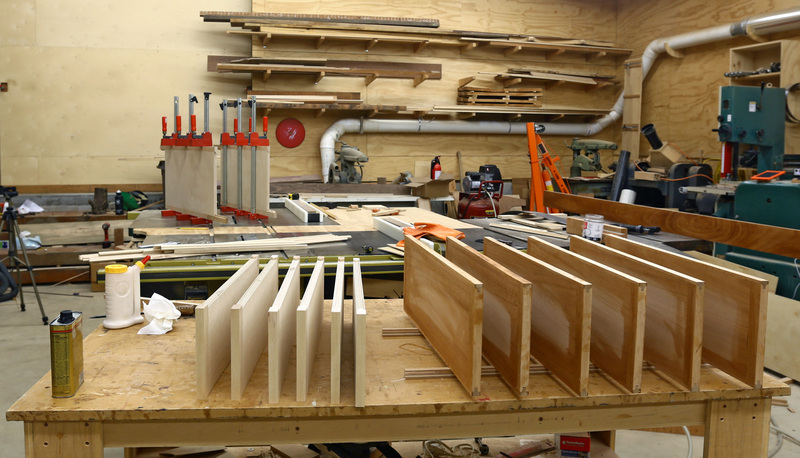 I made runners on each end of the strips to hold them on edge to form shelves. This had great structural integrity and can easily hold 500 lbs or 230 kg. At our carport door, we have our laundry room and storage for things that we use when going outdoors like shoes, coats and backpacks. It was not very well organized. The project is to take down the existing upper cabinets and build a storage system for the outdoor things and the laundry. 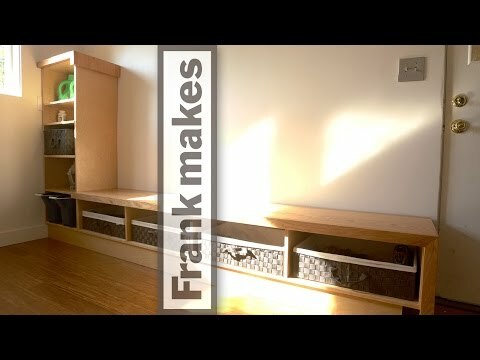 The storage system consists of a horizontal piece with shoe storage inside and a bench on top, and a vertical piece with adjustable shelves for laundry storage. 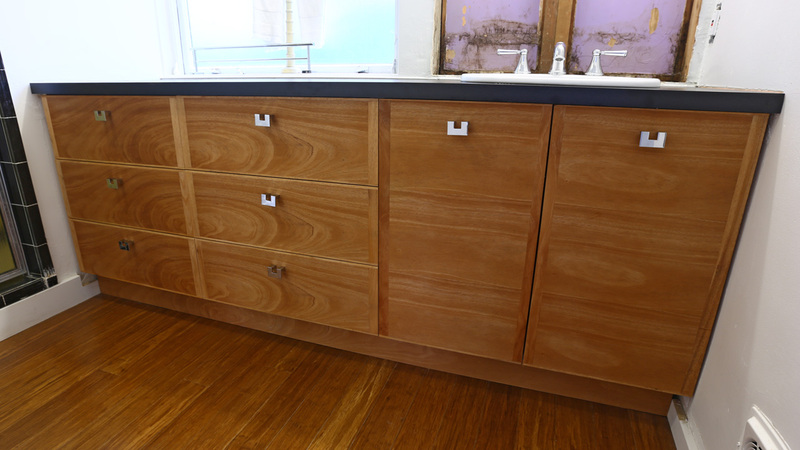 The cabinets are made from prefinished birch plywood and the bench is oak. We have a broom closet just off of our kitchen. It was not cluttered, but it needed a makeover. We wanted to use the space of the closet more efficiently. 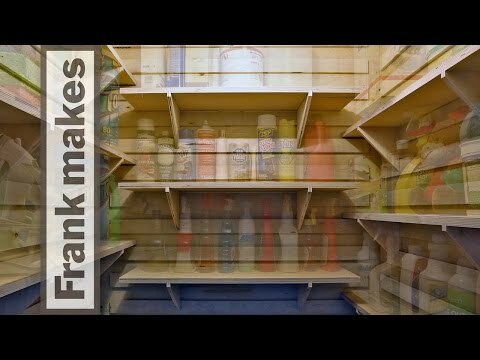 I built a French cleat system for the closet which consists of a wood wall panel system of cleats on which various storage devices could be hung. I built both shelves and hooks to hang on the wall panels. This system allows us to customize the storage configuration of the closet as needed to use the closet very efficiently. Our medicine cabinet was in desperate need of replacement. It had been hacked together by a previous owner and it did not fill its full potential. Our house is in the mid-century modern style and has no trim on the interior. Each door and window is just an opening in the wall. This is the design language I wanted to use for our new medicine cabinet. I removed the old medicine cabinet and cleaned up the hole in the wall with corner bead and plaster. This gave me a clean opening in the wall. 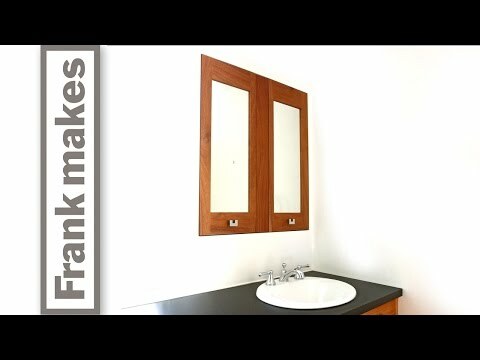 I wanted the new doors to the medicine cabinet to be flush with the wall and be framed in the newly made opening. 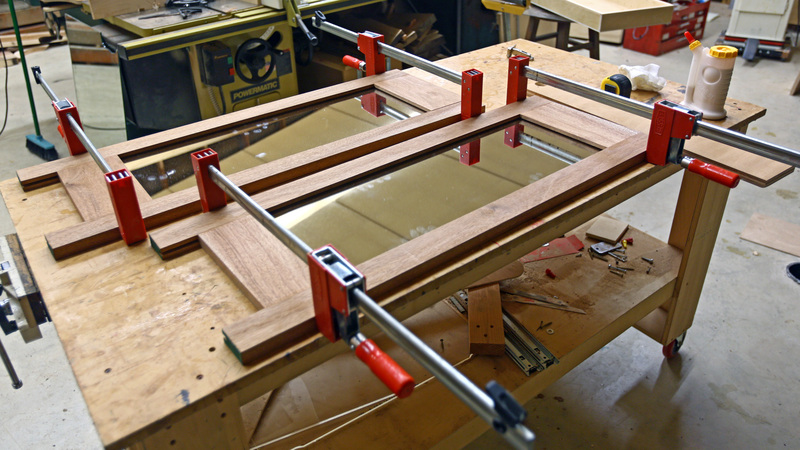 Each door frames a mirror I cut from salvaged mirror. Behind the doors are two birch plywood boxes making up the body of the medicine cabinet. I added adjustable shelves. the medicine cabinet doors are coming along. This project, building two new bathroom cabinets, is part of a bigger project to replace the plumbing system in our house. 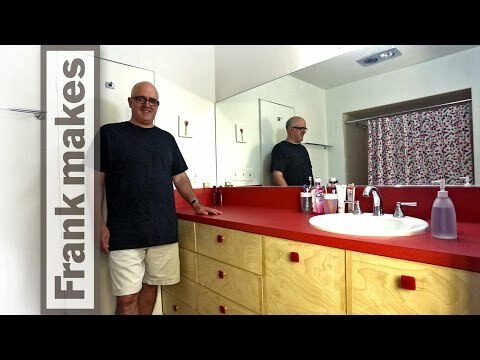 In this video, I will install the cabinet in the master bathroom. 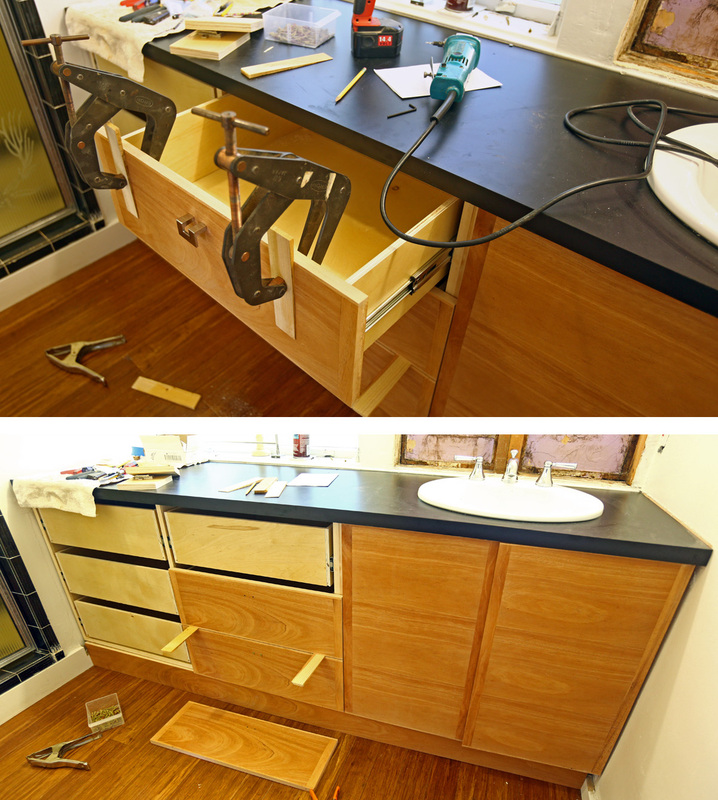 I will also make and install the drawer fronts and doors, made from khaya, a type of African mahogany. 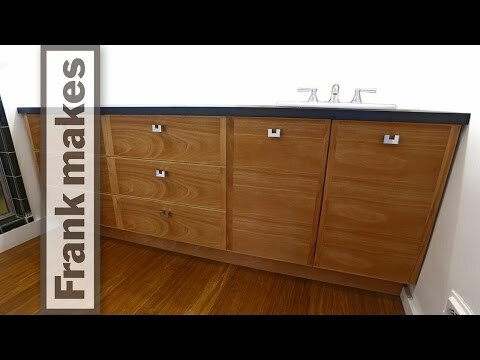 I use an edge banding tongue and groove router bit to make the edge pieces on the drawer fronts and doors. I cut the hole for the sink and the plumber installed the sink. A few last little things but the cabinet in the master bath is in. putting the finish on the drawer fronts.